Oh no, turning into a giant muscular person is super cliche as far as final bosses go. I much prefer elegant maidens who just parries and dodges all your attacks while smacking you around with tremendous force or piercing strikes. They look human, but their skills are just impossible yet not out of this world or inhuman is what I would like for my Solar bosses. I take it you found a satisfactory answer for Solars becoming final bosses. • He gains a beard if he doesn't have one, the beard's appearance can be changed by paying one mote, going from a bushy mustache to faint stubble in a blink of an eye. •• The Defend Other action can be flurried without suffering any penalty. ••• His allies count as being under Light cover when they are in Closed range near him. •••• His size and muscle mass can be increased at will with a miscellaneous action, this grants him the Giant merit. 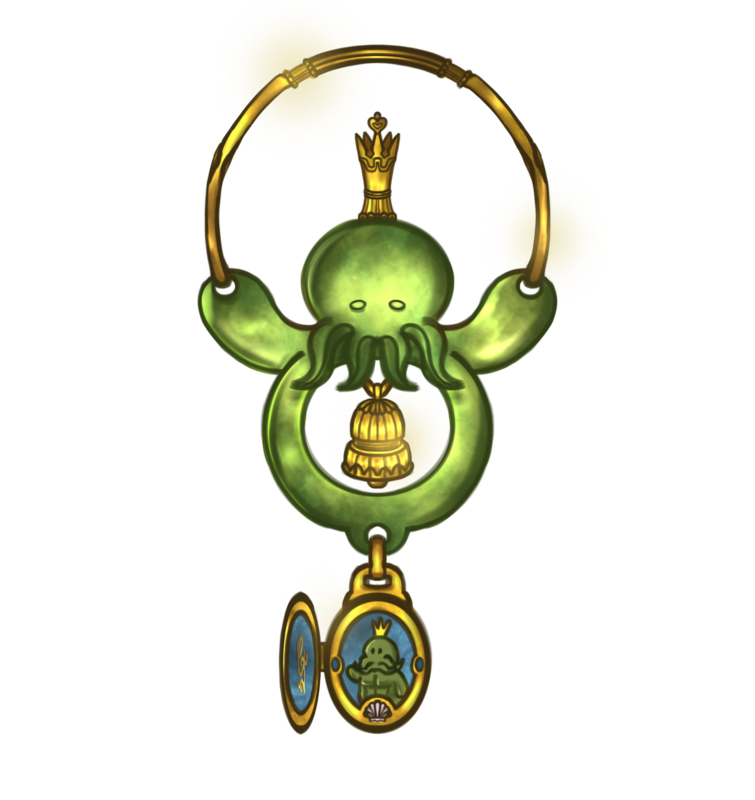 ••••• He receives a number of non-charm dices when performing Feats of Strength equivalent to the number of his allies in the scene. Once per scene. A towering man of golden essence blossoms from the Exalted's anima before crashing down on him in an explosion of light and heat, causing an environmental hazard of Difficulty 5, Damage 4L/round on everything around him in Closed range. Those who fail the Stamina + Resistance check are also knockbacks one Range band. • His hair and beard turn into pure sunlight, he can extend them into tendrils of golden fire to attack the opponent using the traits of a light artifact weapon with the Brawl, Grappling, and Lethal tag. •• He can reflexively use the Defend Other action on any of his allies in Closed range. ••• His enemies in Closed range suffers the penalty of being on Difficult terrain. •••• He can also gain the Legendary Size merit which costs 1i per turn to maintain. ••••• His Feats of Strength can't suffer any penalty when performed to uphold an Intimacy. Furthermore, the Athletic excellency will give 2 dices per mote when performing Feats of Strength, provided that all of his allies are in their -2 HL, if they are on their -4 HL then all of his Feats of Strength benefits from full excellency instead. Why limit yourself to just one flavor of daddy? Bara Soul gains a hearthstone slot on its forehead, the Exalted chooses (Stamina) points of mutation that he can manifest for one scene with 5m or for free when activating along with its prerequisite. 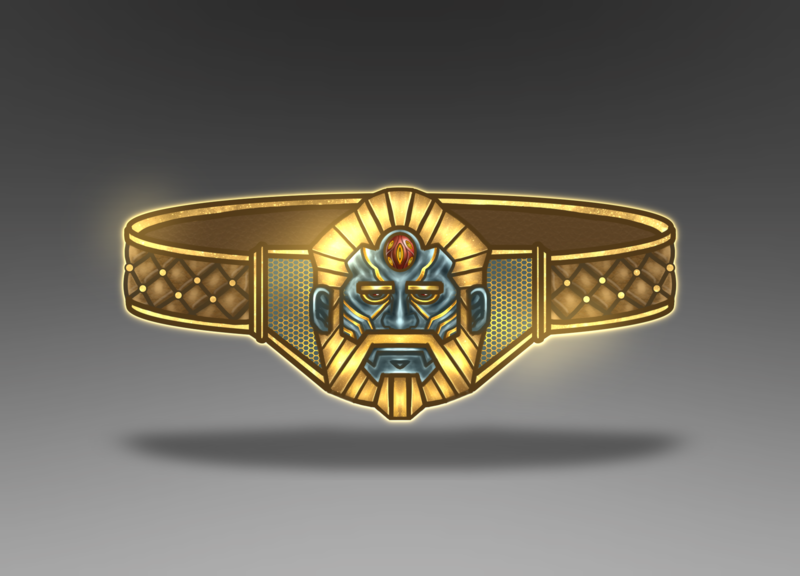 This required a hearthstone to be inserted to the belt and will determine the cosmetic effects of the mutation, the Unusual Hide mutation will manifest as a beetle exoskeleton with a Lunar aspect stone for example, while an Earth aspect one may give the Exalted an armor of rock. The cosmetic appearance of Bara Soul's other Evocation can also be affected by the hearthstone aspect if the Exalted so choose. Something so strong, so big can't possibly move that fast, it's just impossible. This evocation upgrades its prerequisite, the Exalted can use his Stamina instead of Dexterity to calculate his Defense while his beard attack can be rolled using Strength. Hunky shouldn't mean indecency. Rays of light circling around the Exalted and form a skintight suit of compact lattice with the trait of Light artifact armor with the Silent tag. The armor of light encases its master from head to toe, leaving him as a humanoid and muscular silhouette of sunlight. The light suit emits an oppressing heat, causing everyone in Closed range to lose 1i per turn. An opponent who successfully strikes the Exalted at Closed range loses an additional 2i as fire corona spill out from the suit. Resonance: The Exalted becomes even more in-tune with Bara Soul, he gains more control of the light armor, sparing his allies from the intense heat. A man who would harm his friends doesn’t deserve the daddy title. The musky scent of a properly cooked beefcake is irresistible, then come rest on his sturdy bosom and lets your passion runs free. This Evocation can be activated whenever the Exalted succeeds at a physical activity, he can immediately make an Instill action toward every onlooker that aims create a Tie of lust toward him. Those with such intimacy lose 1i per turn (which the Exalted does not gain) when they are not in Closed range with the owner of Bara Soul. It’s said that the Sun’s body is such a glorious piece of art that you would need ten hundred pairs of eyes not to go blind. Flexing his muscle in reverence for the Sun, the Exalted goes supernova, he rolls (Stamina + Strength) against the enemy’s (Dexterity + Dodge), those who fail the roll is blind for (Essence) rounds as the glorious sight is burned into their eyes. Resonance: Creature of darkness are especially vulnerable to this Evocation, not only the blindness duration is increased to (Essence + 3) rounds, but they also suffer from a one-time environmental hazard with the trait of Difficulty 5, Damage 4L/round. Bears falling from Heaven like fiery furry comets. The Exalted leaps high to the sky before diving to the ground wreath in golden fire, he rolls a single Decisive attack against every character within Closed range of a point on the ground. The base damage of the attack is (5 + threshold successes on the attack), he divides his Initiative evenly among all targets to determine the total damage against them (round up) and resets to base Initiative after completing all rolls. Battle groups and trivial opponents take his full (5 + extra successes + Initiative) in damage, without counting against his Initiative total. If activating while Inner Daddy Unleashed is in effect, the impacted range band will explode in a shower of piercing heat wave and shining muscle, turning it into an environmental hazard with Difficulty 5, Damage 4L/round and causing all damaged characters to fall prone. This Evocation can only be used once per scene. Resonance: When one of his teammates reaches their -4HL, the Exalted can immediately use this Evocation regardless of his turn order in the round and even if he has already used it in the scene. When activated this way, his allies are immune to the damaging effect of the Evocation. He can use the Defend Other action up to Long Range. Successfully defend his teammate let him makes a Withering counterattack which he does not gain Initiative from. All penalty to his Parry is halved (rounded down). Against a smaller opponent, all penalty to his Parry is ignored instead. Any attacks that miss him will not inflict onslaught penalties. Last edited by Jen; 04-13-2019, 12:09 PM. Plus old man crying for lost love is so much better than generic cultist. And you used an evocative bit of iconography and folklore to come up with the image of an Artifact and power that could do that. Wow, this idea for the narrative of a starmetal Artifact is really interesting. By the way, I think there was something in Fangs at the Gate that was a lot like your thing with a character being prevented from naturally healing damage, so that shut me up. Oh yeah, I vaguely remember Lunar having a charm like that in Ex2. Last edited by Jen; 03-26-2019, 11:12 AM. Standing at the pier, a maiden sounds Vọng Phu hoping that his love can find their way back from the storming sea. Those that Theo has a positive Defining Tie toward and vice versa always aware of his general location, they reroll 1s until none appears on any navigation roll to find their way to Theo as the world nudge them toward the maiden. A Lunar mate (if Theo even has one) can always choose to benefit from this effect even if they and Theo have never met each other. Resonance: The mote cost is reduced every time a character finds their way to Theo for the first time while benefiting from this Evocation, this can potentially reduce the committed cost to 0m. Characters without any Intimacies relate to love or romance suffers a -1 Resolve against Performance-based social actions made by Vọng Phu. If such an actions success, the target also subjected to a feeling of melancholy toward Theo, this emotion only counts as Minor intensity however. Those with a heart, ask not the maiden if he still keeps his promise. After a successful song-based Performance roll using Vọng Phu, Theo's Intimacy toward the subject of the song is immediately revealed to the audience as if they had succeeded at a Read Intention roll. Instead of drawing people to him, the maiden instead repels them away. A successful song-based Performance roll causes people to disregard Theo completely as their mind is filled with bystander apathy, the audience can't attempt to resist this charm with wp unless Theo performs obvious supernatural action. The cost to resist this effect depend on the number of audiences, 3wp is needed for a large crowd in a busy street, 2wp for a small group of individual, a character who is alone with Theo can ignore this Evocation completely, they are instead afflicted with a feeling of sadness toward Theo. Theo make an inspire roll with a free full Excellency, and for every 10 rolled, one non-success is converted into a success, up to a maximum of (Essence) success can be converted this way. As long as Theo continues to play the song, characters who fail to resist will be overwhelmed with a tidal wave of sorrow, whether toward Theo or themselves, and are unable to perform any actions save for weeping or lamenting their lost love. They can defend themselves but will resume their mourning after successfully dodge or parry the attack, being damaged by a decisive attack cancel the effect but the emotion of melancholy will still last for the scene. Those who resist this Evocation is automatically subjected to (Essence) level of bashing damage as their heart and mind rebels, if they can't cry after such a sorrowful melody then why even live? Resonance: When this Evocation is used in combat, all affected characters lose 1i per turn. This Evocation upgrades Righteous Lion Defense, allowing Ties to be affected by the charm. Any characters who attempt to decay the Tie and fail to beat his Resolve is affected by an emotion of melancholy for the rest of the scene. The power of this Evocation reaches even remote magical effects such as those of the Sidereal Exalted. Resonance: A botch attempt at decaying the enchanted Tie resulting in the world punishing the target in subtle ways, bugs eat away their cloth on a first date, horse tries to run them over in a busy street,...etc. But then you get to the post-combat scene that is another fight, and if you've not found healing magic in the interim then you had no opportunity to get your health levels back up and it will require a lot fewer decisive attacks to kill you. Yeah, but I figure the effect is fine since you can only affect maybe four or five people (I doubt that there are many Jason running around in one single story). Though I probably should throw a mote cost at the effect or have it only last for a week or so. Made from stained-glass, wyld corals and black jade, this lamp contains a dreamworld within it. An owner can change how the world look, but it's always remained an endless ocean with no shore in sight where physics holds no place, night can change into day in a blink of an eye, water rises up into columns of shimmering liquid, and all manner of strange creatures swim beneath the surface. 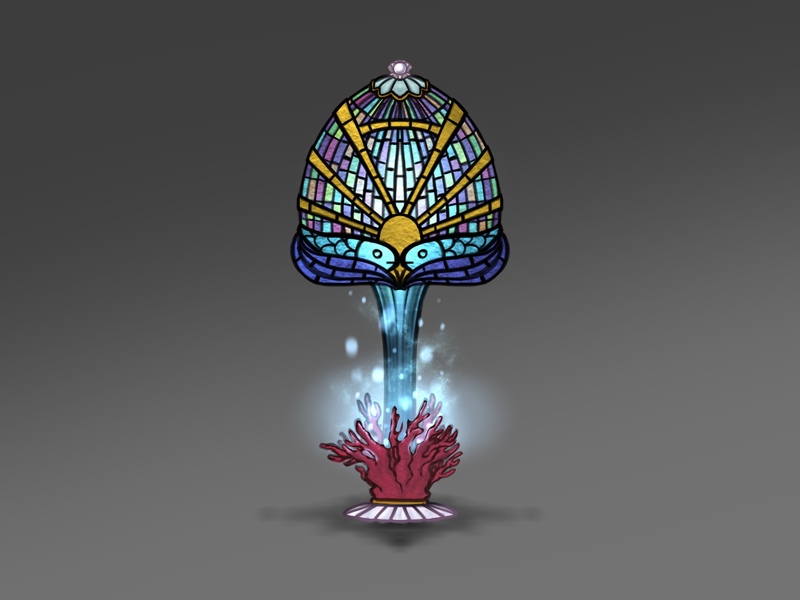 The coral's branch can be broken off (which will quickly restore itself after a few minutes), these pieces can be given to other characters which allow them to visit this world if they sleep while having the coral piece in near proximity. The pleasing experience in the dreamworld grants the character an additional point of Willpower when they wake up. The witch's fiancee protects his lover's dream from unwanted suitors. Any powers that would disturb Theo's dreams must roll at an increased +1 difficulty, another 10m can be pay to increase the difficulty by one to a maximum of 5, failing will inflict on the suitor an unsoakable level of bashing damage for each die that is a non-success as their brain melt from the psychic backlash. A botch will inflict lethal level of damage instead as the lamp tries to transport the suitor directly to the Great Dreamer, their body starts to be ripped apart by unseen force and spiralling into a single point before disappearing. Being able to introduce Facts arbitrarily is a pretty Big Thing. All-Knowing Enlightened Sovereign is an Essence 4 charm, and has a once per story restriction (albeit with a pretty easy reset). Oh right, I remember that Solar can introduce fact without relevant background but forget about how steep the cost is. Hmm, Medeia is not just drawn in a lovely manner, but that concept for its power is intriguing. I do think the Defining effect for Letting the Wrong One In might be a bit too strong, though. Really? I thought it's the weakest one since it'll only be relevant in post-combat scene, it's mostly a "Kill mortal harder" kind of effect.